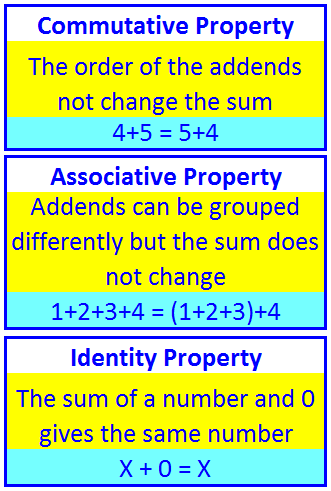 Now we will consider the four basic operations with whole numbers: addition, subtraction, multiplication, and division. Usually, we write the numbers in a column format with ones, tens, hundreds, etc. 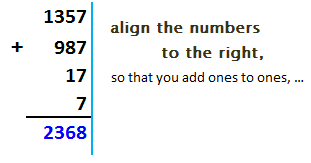 aligned, then add each column beginning with the ones, and carry-over digits to the left.